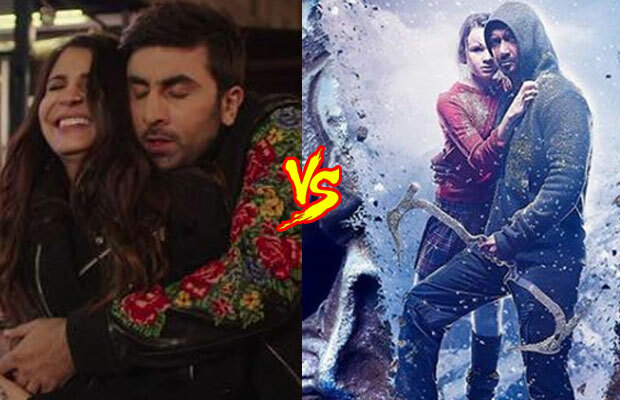 Box Office: Karan Johar's Ae Dil Hai Mushkil Vs Ajay Devgn's Shivaay First Week Collection! Box Office: Karan Johar’s Ae Dil Hai Mushkil Vs Ajay Devgn’s Shivaay First Week Collection! Karan Johar’s romantic drama film, “Ae Dil Hai Mushkil” and Ajay Devgn’s action thriller, “Shivaay” released on October 28. Both the films have received a good response and are currently battling at the Box Office. ADHM starring Aishwarya Rai Bachchan, Ranbir Kapoor, Anushka Sharma and Fawad Khan made the audience drool with its mind-blowing songs, while Shivaay is grabbing all the limelight over breathtaking VFX and visuals. Both the films have completed the first week at the Box Office and have managed to earn good. Ae Dil Hai Mushkil had a good first week of around Rs 7.25 crore nett, taking the total collection to Rs 78 crore (780 million) nett approx. The first-week collection of ADHM has turned out to be the fifth highest in the first-week collection of 2016 after Sultan, Rustom, M.S.Dhoni – The Untold Story, Housefull 3 and Airlift. The initial collections helped the film to stay strong despite low weekend. On the other hand, Shivaay started on a low note but has got momentum post-Diwali holidays. Shivaay had a decent first week of around Rs 61.50 crore (615 million)nett. The film stands as the eighth highest first week of 2016 after Sultan, Rustom, M.S. Dhoni – The Untold Story, Housefull 3, Airlift, Ae Dil Hai Mushkil and Fan. Shivaay did good business in Mumbai, Rajasthan, Bihar and CI in comparison to ADHM. Previous articleDetails About Shah Rukh Khan’s Next With Aanand L Rai! Next articleAfter Deepika Padukone, Is She The Highest Paid Actress In Bollywood?